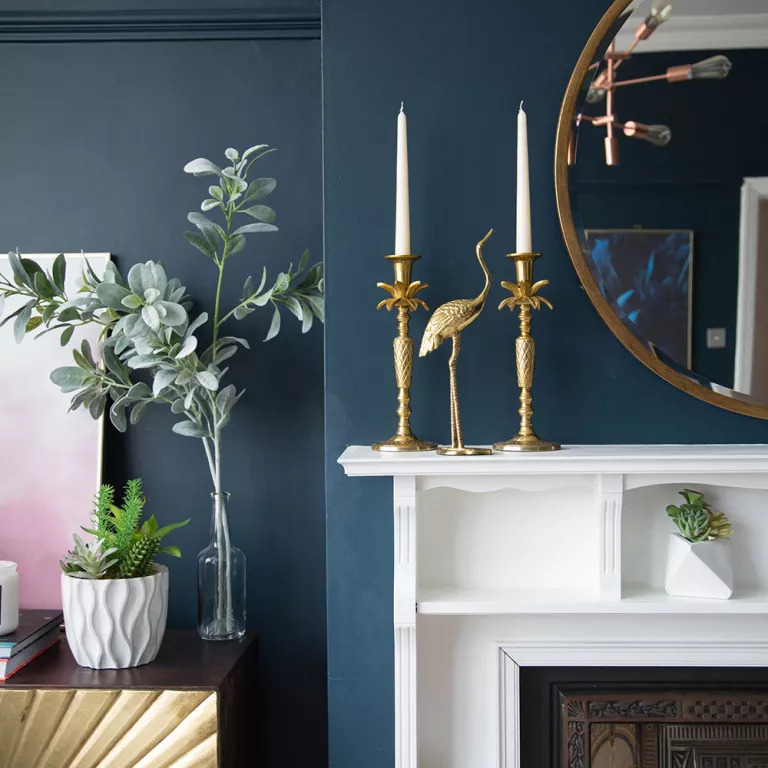 ‘This room was all shades of beige and brown,’ says the owner of this five-bed Edwardian house in North London. 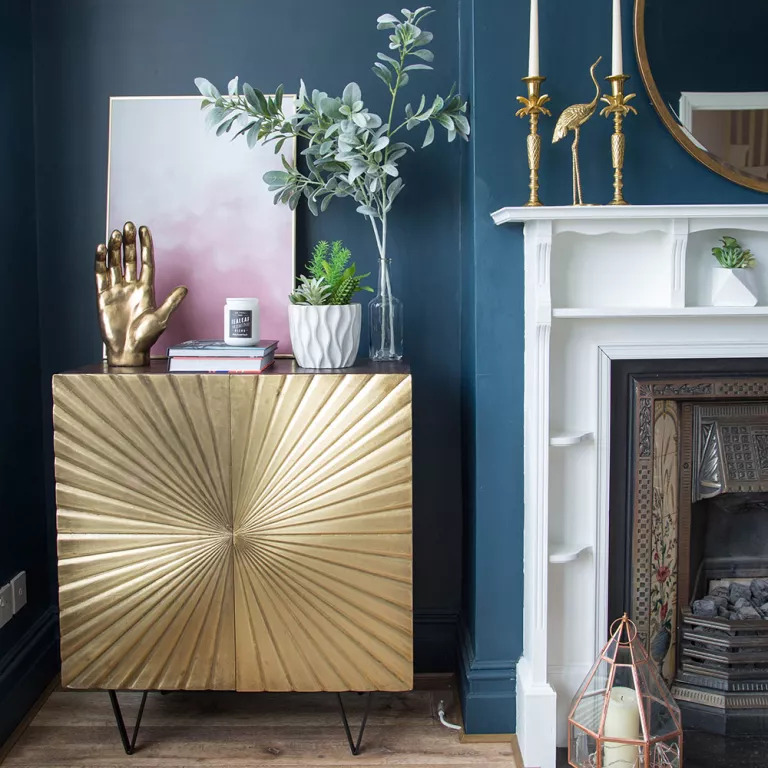 ‘I had been contemplating grey walls for this room, but got tired of seeing the colour everywhere.’ After spotting the gold cabinet from Swoon, she planned a luxe look with dark walls and pink accents, instead. 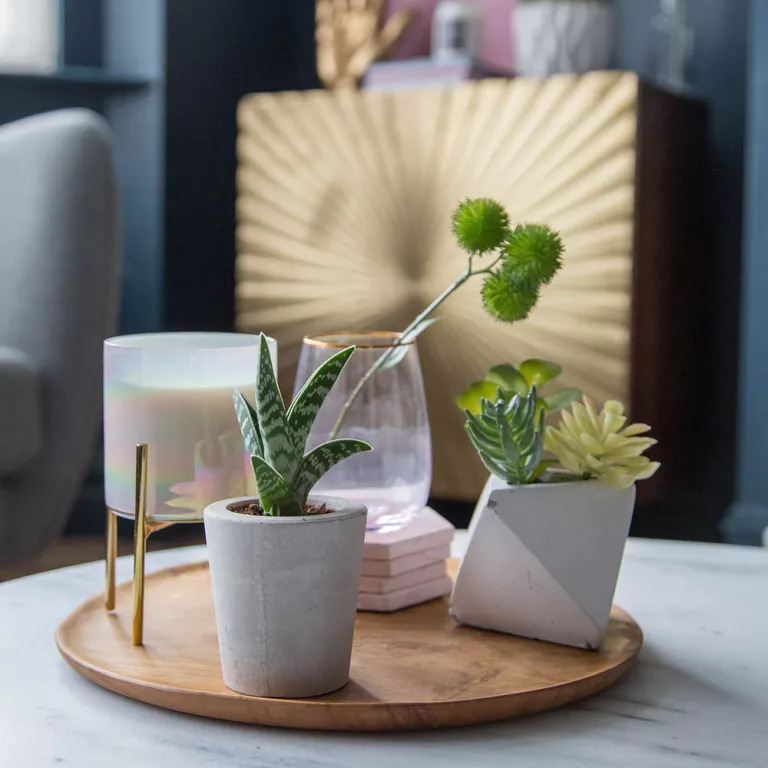 ‘At first, we weren’t planning that pink would be part of our scheme,’ says the owner. ‘I was toying with the idea of adding emerald green. However, a velvet sofa had been on my wish list before we even moved in. 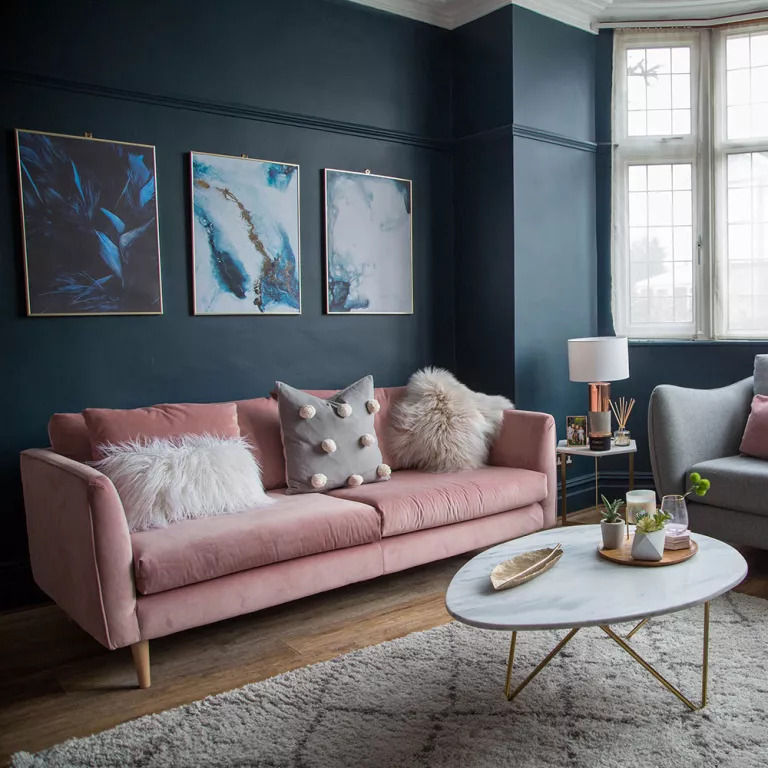 Love them or hate them, dramatic walls do make spaces cosy – and they’ll never overwhelm in a big, bright room. 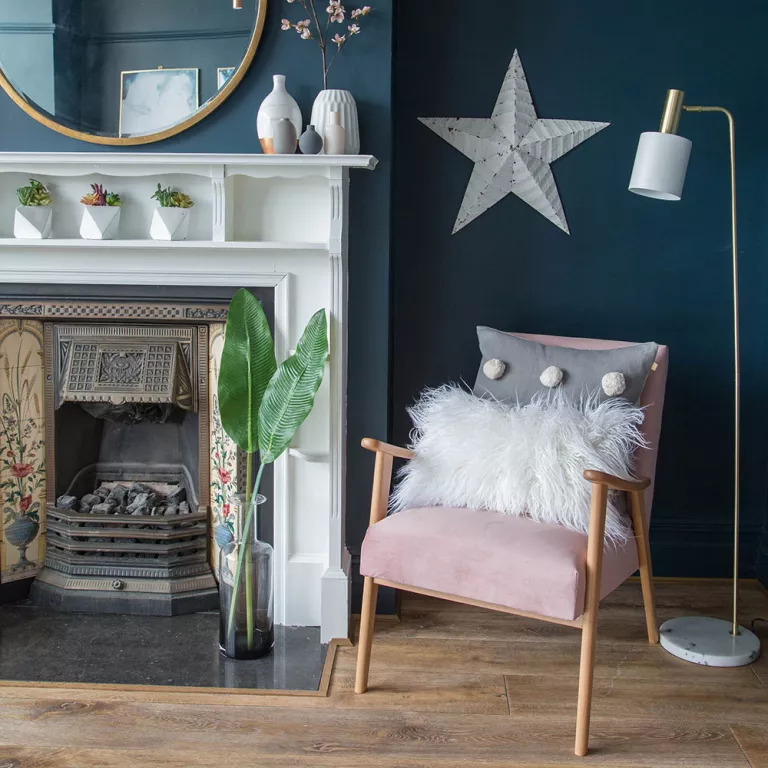 Honey oak flooring cosies up all the cool blue, grey and pink tones, and brass and gold details have given the room a luxe feel.